(Host) Transportation officials have closed a covered bridge in southern Vermont due to structural problems. 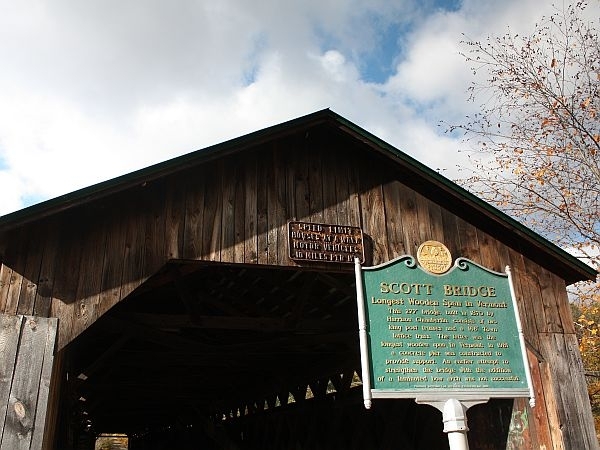 The Vermont Agency of Transportation says a recent inspection of the Scott Bridge in Townshend showed that it had extensive deterioration, and that it should be closed to all traffic, including pedestrians. The bridge, known primarily as a tourist destination, has been used as a school bus stop since Tropical Storm Irene damaged many of Townshend’s roads. The historic bridge is owned by the Vermont Division for Historic Preservation, which is now working with VTrans to reopen it.